Cameo Hills farm is a 350 acre, full service standardbred breeding and boarding farm in Montgomery, New York. Steve, Kathy,Tyler and Jake Jones operate the farm which raises approximately 60 yearlings each year. The Cameo Hills farm yearlings sell at Lexington Selected Sales and the Goshen Yearling Sales. Huntsville was the 2 year old pacer of the year in 2016 and paced to a world record mile of 1:49 at the Red Mile, winning the International Stallion Stake. His 2 year old campaign also included a Track Record performance at the Meadowlands, winning the Breeders Crown in 1:49.1, as well as wins in the Bluegrass and the Pennsylvania Sire Stakes Championship. He returned this year at 3 and earned $1,014,428, with wins in the Meadowlands Pace, Cane Pace the Jenna's Beach Boy and a runner up finish in the North American Cup. Huntsville retires as the fastest 3 year old of 2017, with a mark of 1:47.4, that he earned winning the Meadowlands Pace. Cameo Hills Farm added to their broodmare band at Harrisburg. They acquired the royally bred Come See The Show 2, 1:52.3 (Somebeachsomewhere - Put On A Show). Son of the great Somebeachsomewhere from the Sweetheart winner and top stakes filly Must See p,2,1:52 ($487,122) and half-brother to the brilliant racehorse and top young stallion Well Said p,3,1:47.s ($2,569,342). SO SURREAL debuted at the Meadowlands as a two-year-old and won his first baby race in 1:55.4 with a last quarter in 26 seconds flat! He won again at the Meadowlands in 1:55, again with a last quarter in 26 and change. SO SURREAL then ventured to Pennsylvania and won two Sire Stake events in 1:53.1 and 1:53.3. 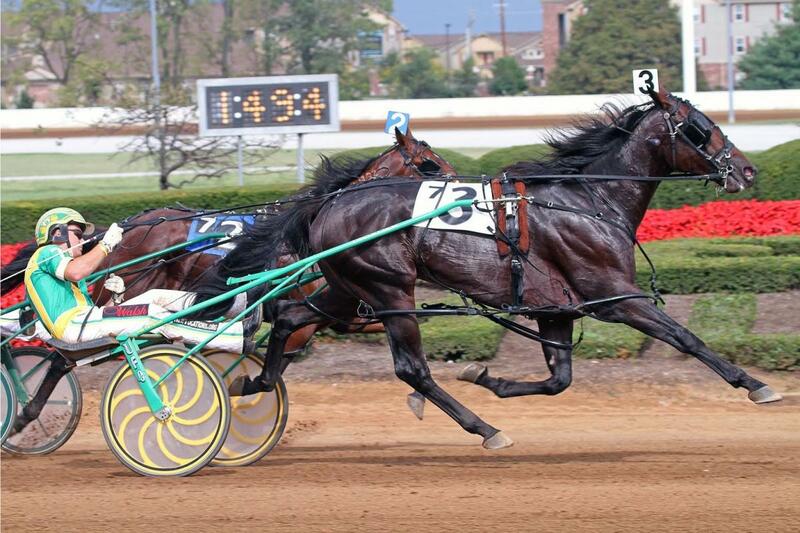 He is the second fastest two-year-old of 2013, winning the International Stallion Stake in 1:49.4. He was also second in the Bluegrass (defeating the fastest two-year-old of 2013—Somestarsomewhere) and third in his Breeders Crown elimination before breaking a coffin bone. SO SURREAL has outstanding pedigree and conformation evidenced by the fact that he was a $125,000 yearling.